I have made florentines before and they are very yummy – far better than the ones you find in bakeries, although they are really not too common anymore. 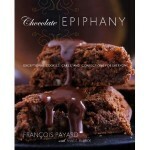 Because I needed a gluten free version, I looked through a few cookbooks and found an interesting recipe which used no flour in Chocolate Ephipany by Francois Payard. The result was sort of a butter brickle flavour with crunchy almonds and candied orange. They are absolutely delicious!! The dark side is that you cant stop eating them so between the florentines and the cream in the panna cotta I gained 2 pounds this week!! I am having nightmares about barbells. For the panna cotta, I used a slightly different recipe than Gina’s because I didn’t have 3 cups of whip cream. 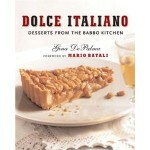 I found a similar recipe in Dolce Italiano by Gina De Palma and used it with ricotta for some of the cream. But I didnt have ricotta either so I used sour cream, and the result was delicious. This is my first attempt at panna cotta, and it is very easy. The taste is really similar to creme brulee, but less work and no baking, so I will make this again. I am freezing some to see how it fares, and since I have recently frozen bavarian I think it will work!!. I have to freeze some so I dont gain even more weight!!! so it is really a self preservation technique. Both of the above are excellent cookbooks. I have seen Chocolate Epiphany remaindered at Chapters recently, and it has an amazing recipe for chocolate cookies that have no butter but are wonderful. Thanks to Mallory for a great combination of flavours in this challenge. I am posting the recipe for the florentines because it is gluten free and devinely delicious. 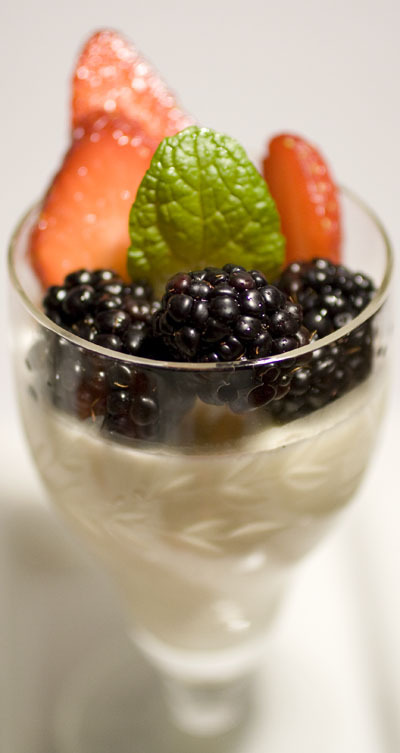 If you want the panna cotta recipe there are dozens on the internet, or email me. Recipe Adapted from Chocolate Epiphany by Francois Payard. My attempt at these resulted in a wonderful taste, but the cooked sheets were not easy to handle and I ended up just breaking them up into pieces instead of having nicely shaped cookies from a cookie cutter. I found them really buttery, so next time I will try a little less butter to see if that works. 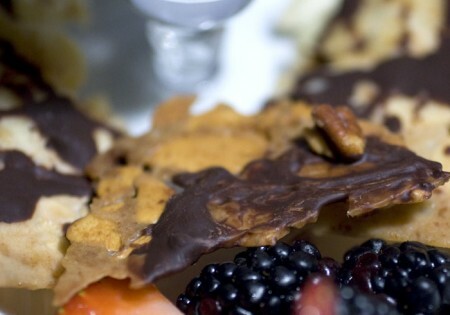 But, these are divinely delicious, so consider making them! Remove from heat and add the next ingredients. 1/3 cup candied orange peel Add to the cooked mixture above. Note: This batter can be kept for about 3 days in the fridge if you want to bake later. I found the baking quite variable, so you really need to watch this step rather than rely on timing. Spread the batter very thinly (cover the area completely, but not too think, about 1/8 inch) on a silpat or parchment paper (silpat is better) and bake at 350 for about 8 minutes. The batter should be a golden brown, so you need to watch it and it will depend on how think etc. The batter will be very runny even when cooked, but as it cools it becomes malleable. The process is really like nougat. In the recipe it says to cool slightly and then cut with a cookie cutter. I found this did not work too well, so after trying individual cookies and other experiments I just gave up and treated it like a big sheet of candy bark that I cut with kitchen scissors into pieces. This worked well but they are not too uniform. About 5 oz dark chocolate (I used house brand candy bars from Metro that is 72% chocolate) Melt the chocolate, then spread in a thin layer on the back of each cookie piece. The recipe says to spread with a fork to get the characteristic wavy lines, but my cookies were so thin that I gave up and just spread a think layer. Serve or Freeze These are best straight out of the freezer. They are very delicate, so freezing is the best way to keep them intact and also my freezer is down stairs so I get exercise before devouring them. This entry was posted on Monday, February 28th, 2011 at 7:02 am	and is filed under Daring-Bakers, gluten-free. You can follow any responses to this entry through the RSS 2.0 feed. Both comments and pings are currently closed.